Event and wedding decor. Vases, stands, and more. Chandelier Stands make displaying your table centerpiece a snap! 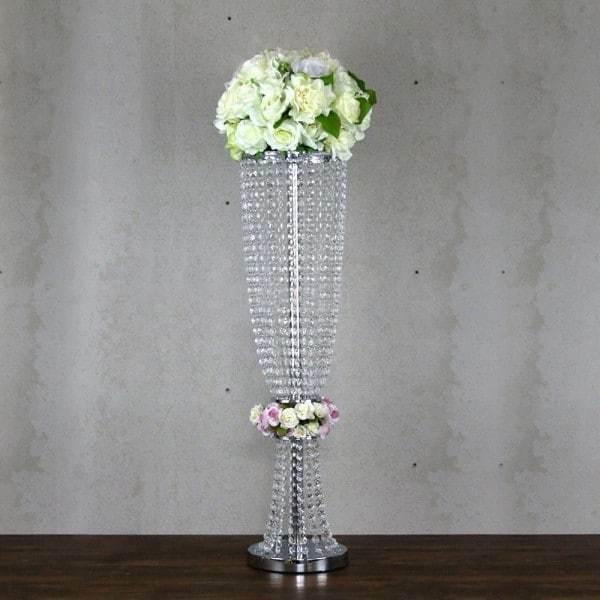 Create your chandeliers or centerpieces easily and quickly with this Silver Metal Stand. It measures either 12″ or 24″ high (adjustable) and is perfect for use at Birthdays, Weddings, Prom, Homecoming or other events. 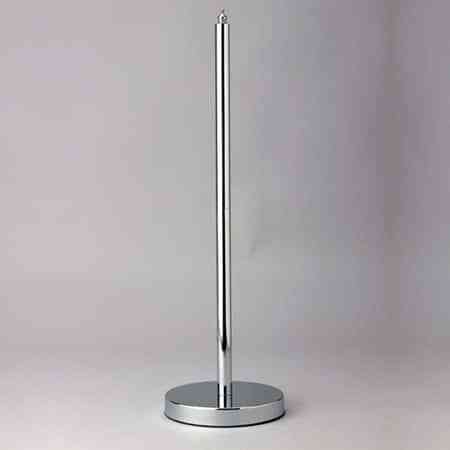 This rental item is to assist you in creating height to your centerpiece. You can hang beads, pearls, flowers, and other home made structures. The structure (not included) is attached by a simple bolt at the top of the rental. 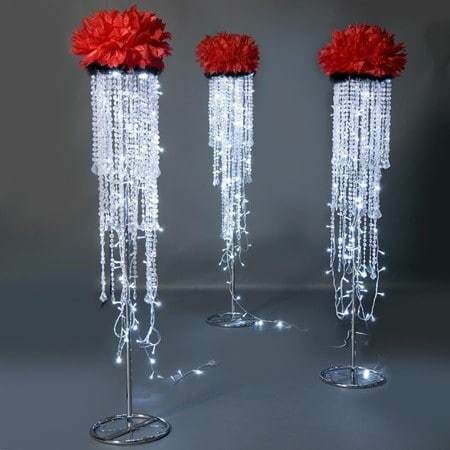 Rent these centerpiece stands to make a great impression at your next party or event. The centerpiece does not include flowers or decorations, however it is the structure that will allow your own style and creativity shine.